Price includes $100 instant savings. Offer valid through 10/14! Engage with your customers, communicate with your employees and put your target audience in control. With interactive digital signage you empower everyone to learn about your business, explore your exhibition, understand your solution and discover your products in a fun and simple way. 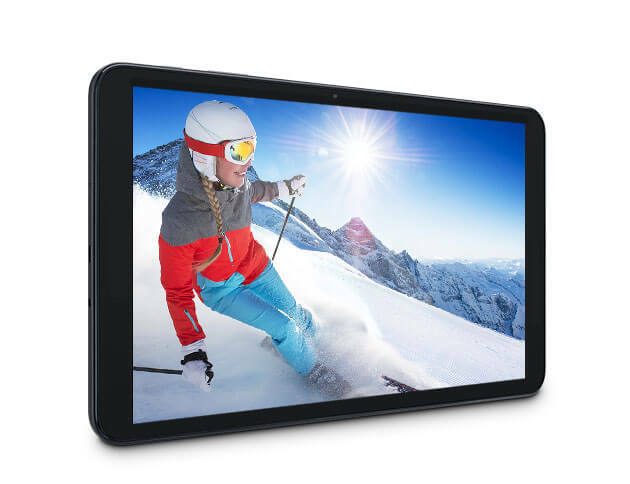 Our mediaTOUCH tablet empowers you to create long lasting and compelling experiences that help strengthen customer interest, increase brand loyalty and quantify results. Now you can create gorgeous, highly functional apps for your audience and help them interact with your business, all thanks to mediaTOUCH. 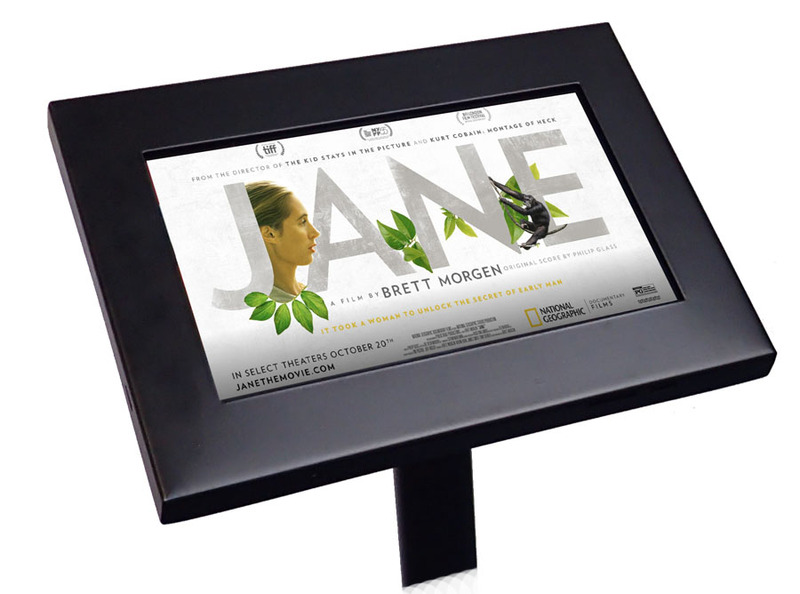 The mediaTOUCH tablet was designed to support both standard non interactive digital signage as well as a kiosk mode for an interactive digital experience. 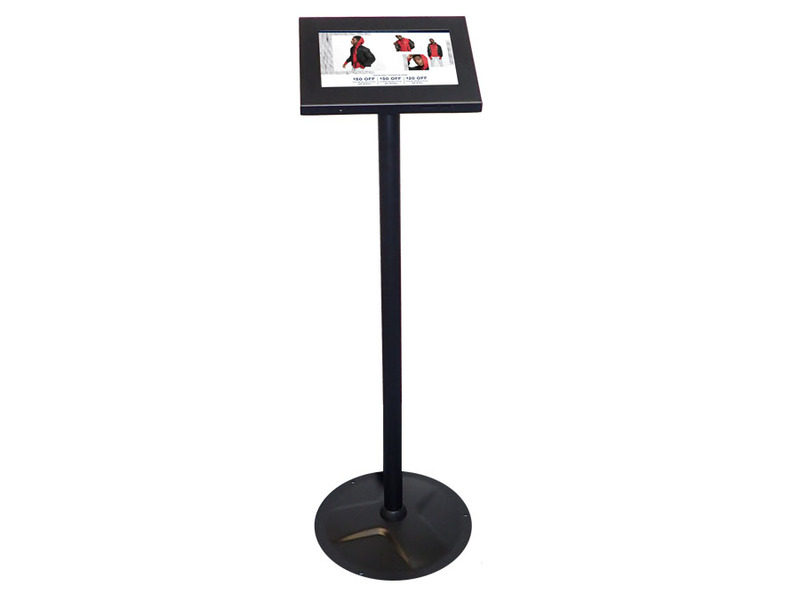 For digital signage, its easy to spread out mediaTOUCH tablets around your organization and allow for easy installation and quick setup. 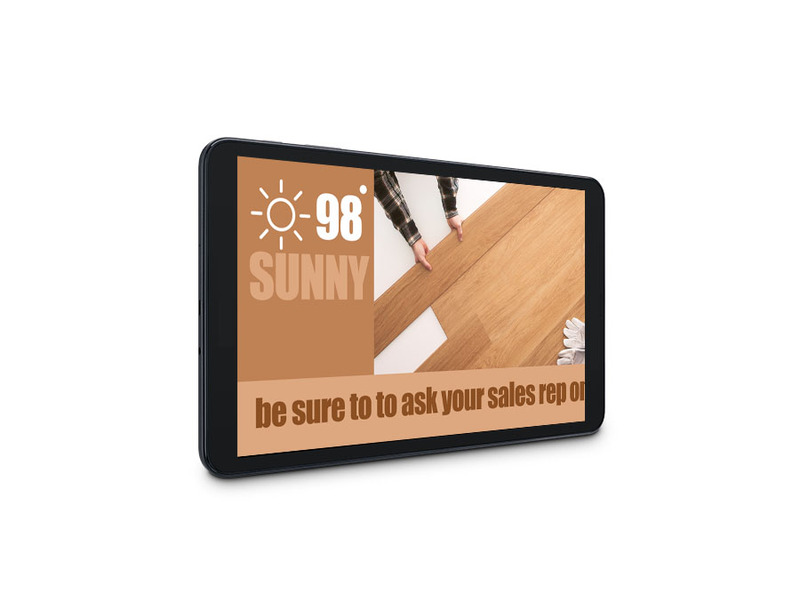 Just hang it on the wall, connect to a power source and begin offering digital signage for your customers and employees using a high quality 10.1" screen. If you are interested in kiosk & interactive digital signage solution, the mediaTOUCH is the perfect device as it delivers a battle tested touch screen solution that’s inexpensive and secure. The Android OS installed was designed and developed by the MediaSignage team and operates consistently and reliably in public access environments. 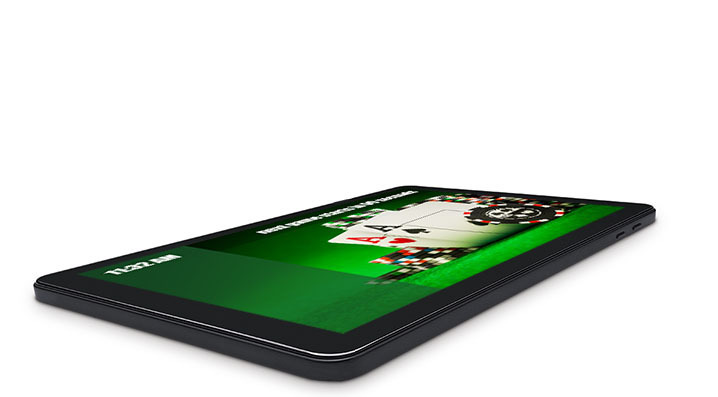 mediaTOUCH was engineered to lock down the device and prevent users from gaining access to the underlying Android OS. Sideswipes, task bars and global menus have been disabled and unnecessary tools and utilities removed from the OS. With the custom OS you will gain access to a powerful dedicated kiosk solution for a fraction of the cost of other touch platforms, all the while delivering an amazing experience. The mediaTOUCH video playback was optimized to run on the GPU consistently at 60 frames per second while freeing up the CPU. 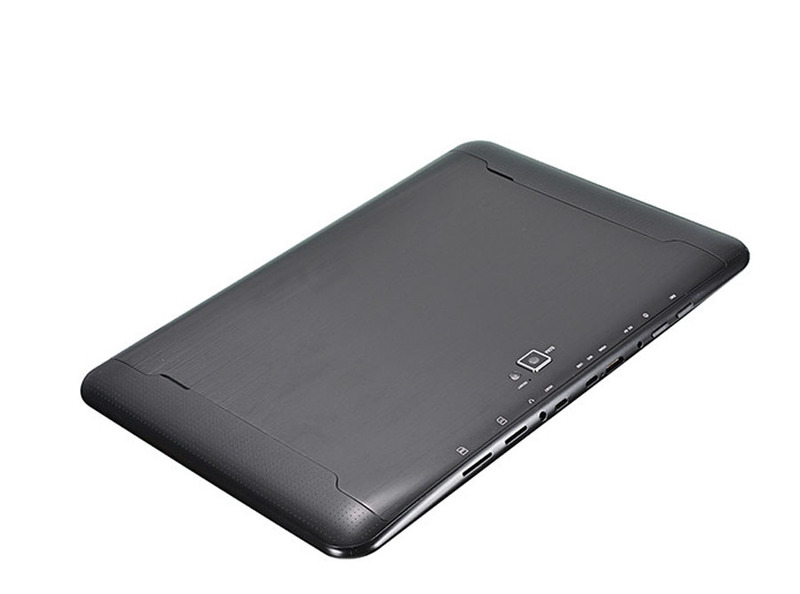 This means the device always remains cool and power consumption is kept to a minimum (no CPU overheating). The Video encoder supports MP4 and FLV and it will deliver HD quality video and audio in both kiosk and signage modes. It was built from the ground up to work with our soft keyboard. By disabling the default Android keyboard we allow you to create a custom key entry solution that is embedded inside your interactive digital signage presentation. No more confusing keyboard that pops up and overlays the screen or keyboard, no more lock downs. 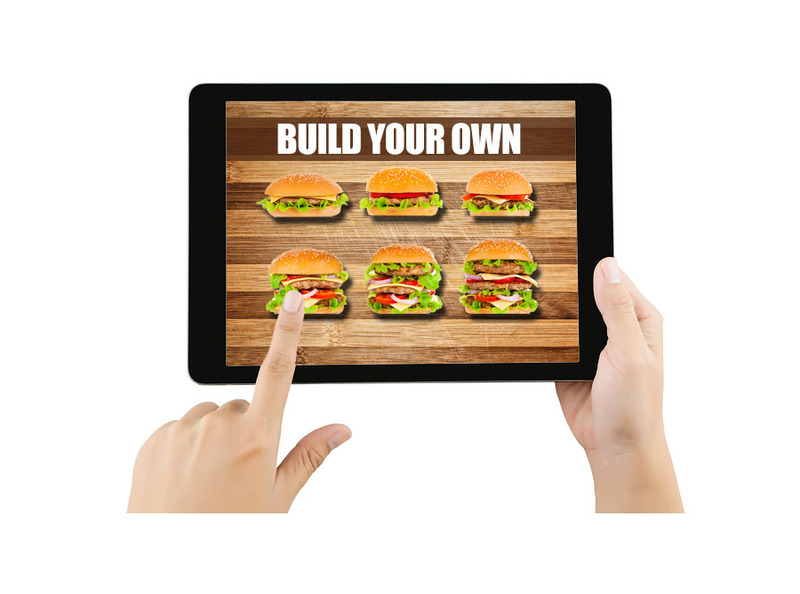 With our own custom virtual keyboard your customers and guests will enjoy the consistent experience they deserve. Build your forms and customer input widgets using controls which were optimized to handle user interaction flawlessly using the mediaTOUCH tablet. This means no more blurry texts or a jumpy cursor, it just works every time, like its supposed to. The commercial kiosk mount is a versatile, multi purpose secure enclosure designed to perfectly fit the mediaTOUCH tablet. It can be used as a 42” floor standing holder or as a wall mount. 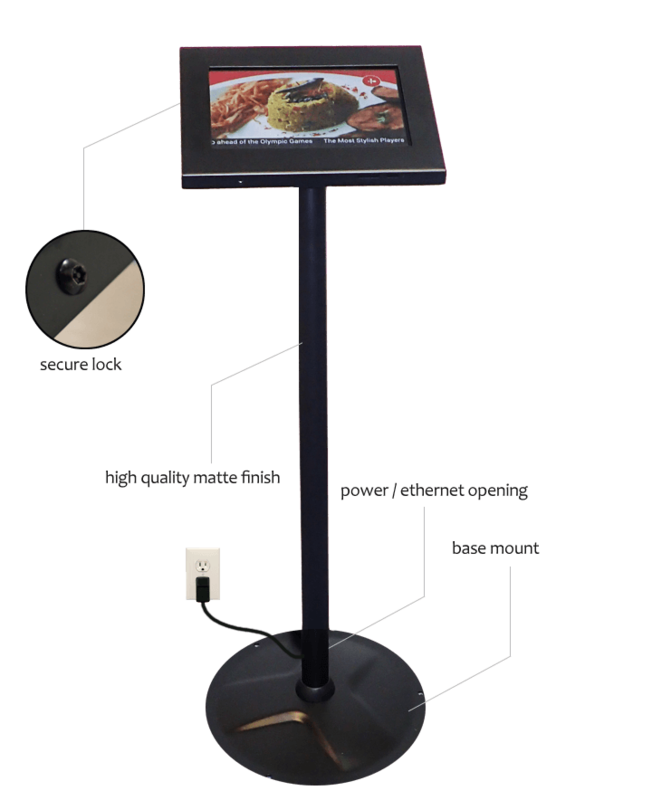 With the kiosk mount you will be able to securely install the mediaTOUCH tablet in public spaces while keeping your investment safe. All the mediaTOUCH tablet physical buttons and ports are hidden from public access. The kiosk mount enclosure prevents tampering. 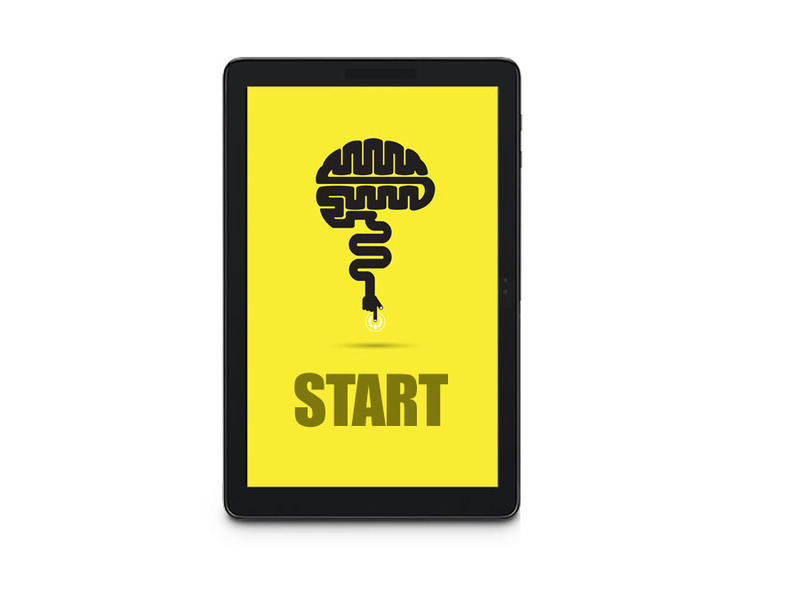 Combined with our operating system, you can be sure your kiosk app will always be running. This kiosk mount supports both wired (Ethernet) and wireless (Wifi) mediaTOUCH installation. With Ethernet, the mount has special room for the mediaTOUCH Ethernet module. By design it hides all wires inside the enclosure and runs the cables through the 42” long tube and out from the bottom near the base, thus allowing for a wire free clean setup. Included is a 42" floor stand as well as mounting plates. Connect the mounting plates to the base stand or mount them directly to the wall. 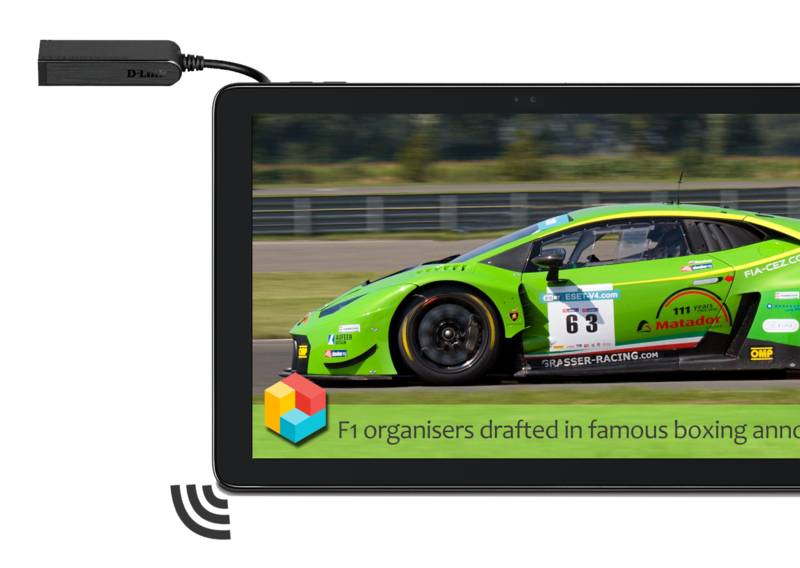 Connect the mediaTOUCH with a mini HDMI cable to any screen and run two screens (tablet + tv) in full synchronization. The mediaTOUCH screen synchronization works flawlessly in both digital signage and interactive presentations, now how cool is that! 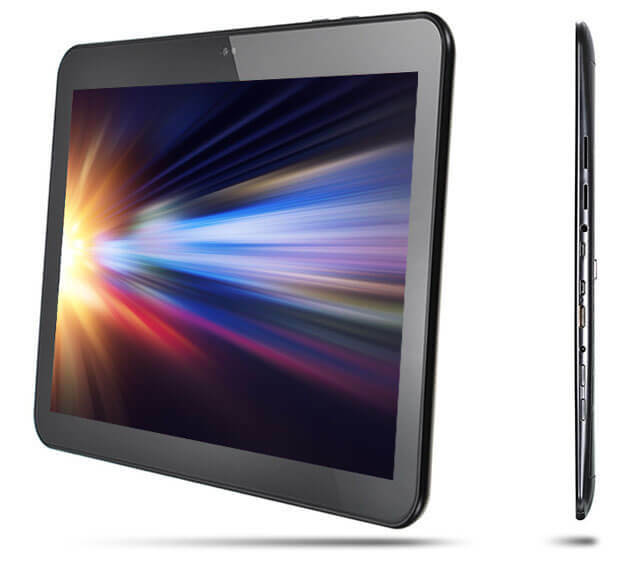 Bring your design ideas to life and watch your audience interact with your creations through the mediaTOUCH 10.1" tablet. 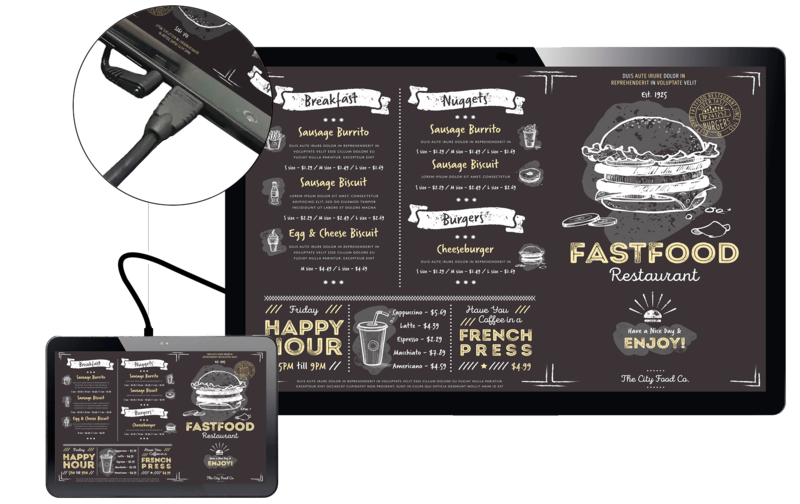 You're busy, we know you have a business to run and don’t have time to learn how to create an engaging interactive digital signage app, we get it… so why don’t you let us do it for you. Let us create an amazing app for your business. We will even pre-register your mediaTOUCH with your account credentials. So literally all you have to do is unpack the mediaTOUCH, mount it up and you'll be ready to amaze your customers and employees.